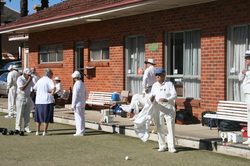 As a bowling club, we love our bowls, so we play socially on Wednesday and Saturday afternoons. Contact us if you'd like to book for Barefoot Bowls. Our kitchen has just been renovated. 'The Pratto' cafe is now open!